Replies: 107 (Who? ), Viewed: 32946 times. I've created a new post-apocalyptic challenge for the Sims 4. I don't usually write TS4 challenges but I do love the post-apoc setting so I thought I'd give it a shot. A lot of research and testing went into this; however, if you have any concerns, please let me know. I even developed a website for the challenge that can be found HERE. As always, this is your gaming experience so feel free to change the rules to suit your play style. If you decide to play, please share screenshots/descriptions of what setup you started with, etc. Your challenge looked so good it prompted me to actually make an account. I'm loving the idea, the theme and the challenges, and the website for displaying the rules is really fantastic to have too. Very nice work on this. The Model's SR is referred to as 0 on the roles page, but 1 in an example on how to play. Which is it? 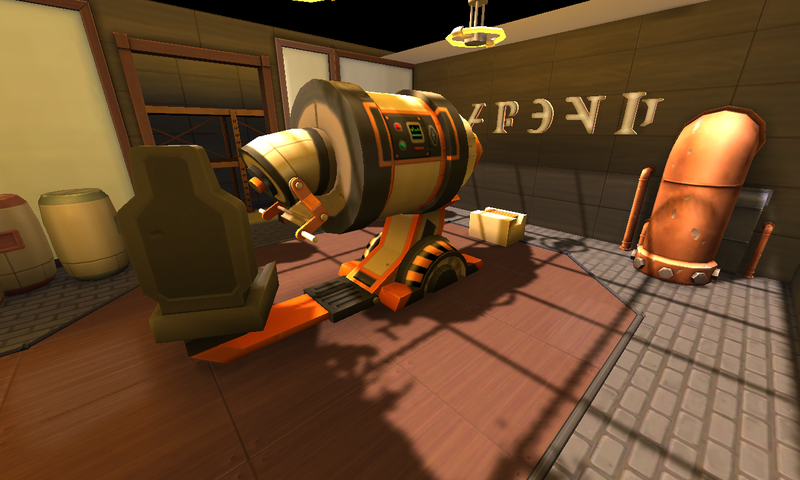 The biologist's special item is a large microscope, but there's one already in the lot by default. Is the one in the lot meant to be there, or is there something I'm missing about what the biologist brings? The lot doesn't come with any beds, despite the comfort restriction saying you should start with minimum three beds. Is that intentional? The challenge also doesn't mention the sleep rating of the beds, which can be a big gamechanger. How do we implement "first come first serve" on a bed if we control the characters? Do we just say the most tired person gets it first? Just as a musing, it'd be interesting (and potentially more difficult) if for the first day you had to roll to see who gets to be assigned a bed, and for the rest of the challenge they claim that bed. The Biologist's info says: "If you have GTW, the biologist can travel there once per week to collect 1 of every plant/insect for 1 day." - Where is there? I'm off to play now! Thanks for the challenge. Edit: One or two more. 6 - Are there restrictions on when you can go out scavenging, or can you do that at any time? 7 - Would you be able to use candles as lights despite the electricity limitation if you managed to get one? Last edited by DLPalindrome : 28th Sep 2016 at 3:16 AM. 1. The Model's SR is referred to as 0 on the roles page, but 1 in an example on how to play. Which is it? Answer: It's a 1. I have edited the table. Sorry, I made a lot of changes to the roles throughout the development and play testing stages. While I tried to catch everything, I'm glad I have someone like you to double check! 2. The biologist's special item is a large microscope, but there's one already in the lot by default. Is the one in the lot meant to be there, or is there something I'm missing about what the biologist brings? Answer: I developed the lot by putting in some of the items you might need in case you had certain classes in your setup (so you didn't have to look for it). If you don't have a biologist, just delete it. If you do, it's there for you already. 3. The lot doesn't come with any beds, despite the comfort restriction saying you should start with minimum three beds. Is that intentional? The challenge also doesn't mention the sleep rating of the beds, which can be a big gamechanger. Answer: I did have beds in there (pretty sure), I will have to confirm, they were cots. If you don't have the cot as an option, then whatever the cheapest bed is. 4. How do we implement "first come first serve" on a bed if we control the characters? Do we just say the most tired person gets it first? Just as a musing, it'd be interesting (and potentially more difficult) if for the first day you had to roll to see who gets to be assigned a bed, and for the rest of the challenge they claim that bed. Answer: The original idea means people go to bed when they are tired. If someone chooses to stay up and loses out on a bed, oh well. Don't kick someone out of a bed because they aren't as useful as someone else. For example, my model kept scarfing a bed every night even though I REALLY wanted someone else to get it. The way I played was I didn't tell anyone to go to bed. If they took a nap in a bed, I'd go ahead and tell them to sleep, otherwise I stayed out of it. I just felt it added a randomness to the challenge. I like your idea though. 5. The Biologist's info says: "If you have GTW, the biologist can travel there once per week to collect 1 of every plant/insect for 1 day." - Where is there? Answer: Sorry, I meant Outdoor Retreat (I've changed it on the site) and "there" is the forest/campground area. Answer: You can go scavenging at any time. Keep in mind some roles have different survivor ratings at night Vs. day. Answer: If you would like to add that, I would set it up so you only have so much time (candles only last so long) and determine some type of item you can harvest that can be used to create candles, etc. At the end of the day, it's your game. Feel free to add anything you'd enjoy. Last edited by MistyDW : 28th Sep 2016 at 6:50 PM. This challenge is so cool! I love post-apocalyptic and survival challenges myself so it's perfect for me. The SR and BDR system is such a great idea, too! It reminds me of role-playing, which is another thing I love besides simming. I'm so happy that you're making challenges for TS4 now, too! I think the main thing I love about your challenges is that you always create such a great system of challenge rules and mechanics (which are thorough but easy to understand) that the player can just concentrate on having fun and the challenges turn automatically into great, immersive stories. The only thing I'm scared of is controlling all the sims in my colony at the same time as I'm used to playing challenges in which I control only one sim, so this will certainly be a challenging challenge for me! How did you manage to do it yourself, Misty? Thank you SO much for the kind words. Knowing that others enjoy the challenges make the time and effort I put into them worth it. I'm used to playing challenges and scenarios where I control multiple sims. I have mods that allow more than 8 in a house, etc. and have controlled as many as 20 sims in a polygamy challenge I made for myself. More than 8 gets crazy for me though. Sometimes it helps to pause the game here and there and just check everyone's needs and line up different tasks for them. For this challenge, before I took my group out to scavenge, I would always pause the game. I'd look at who I was leaving behind and queue up a few things (i.e. tell the hippie to go take care of the garden, have the chef start preparing a meal, etc.) and then I'd look at who I was taking out and queue up anything I needed before they left (i.e. eat something, go to the bathroom, etc.). I'd then unpause, let everything play out, and when my scavengers were ready I'd send them off an dfollow them to where they were going. Once I got everyone back at the base, I'd take a quick look at everyone again and make sure they were doing what I wanted. I encourage letting them do whatever they can on their own. Don't interfere with who gets what bed. If they end up on the couch, oh well. I saw that as adding random flavor. I tried to let them take care of their own hygiene as well (unless someone was being ridiculously stupid and was about to pee themselves). Another tip is once the chef puts the food out, if they eat they eat and if they don't they don't. The only time I made people eat is if I was about to take them on a run and I needed to make sure their needs were good. I know that was kind of a long answer but it's what I do. Hopefully that helped. This sounds great! I'm giving this a go. I've rolled the dice for my survivors, what they are and their traits. Here is what I ended up with! Biologist - Luke O'Connor is neat, bookworm and childish. He had a secret room behind his bookcase so he could indulge playing with his childhood toys without anyone knowing. Lucky for him this is what saved him when the aliens raided his house. Hippie - Iago Irving loves the outdoors, is cheerful and materialistic. A materialistic hippie, go figure He was passed out in the garden bed when the aliens came by and they thought is was just some unusual hairy type of plant. Chef - Harriet Somerset loves food, is self-assured and squeamish. She comes from a whole line of chefs that can make anything taste remotely edible. She was down in the basement where she kept her hidden stash of fine wine and was indulging herself when the aliens came by. She hid inside an empty wine barrel. Model - Alice MacFarlane is materialistic, a goofball and mean. She's survived this far for potential mating purposes. She can't remember what happened or how she ended up in this group. Leader - Emilio Lynwood is self-assured and a geek. Ever since he tragically lost his wife and son, he's hated children. Master Thief - Dana Lyndsay is a kleptomaniac, loves outdoors and is a slob. Stealing is what's kept her alive this long. Once seen as wrong and crime, now the group are happy to have a thief amongst them. Oh the irony of that. So there is my motley crew, not too bad I guess. I think it's a bonus to have a chef and a hippie. I will post some pictures soon, one I figure out how? Though having the ex-marine would have been a LOT more beneficial than the model for the BDR. Oh well, such is life. We're probably all so gonna die! My play test group started with a hippie, cook, mad scientist, biologist, thief, and handyman which worked out very well for me. Eventually I picked up a model which sucked because (as stated above) the witch kept taking a bed every night and inevitably, one of the sims I wanted to get a bed didn't. I always took my model on scavenges and even though I didn't do anything to get her killed (per the rules), I secretly hoped she would...alas it never happened. 1) For more of a challenge, when rolling for your starter group, if you roll the same number again choose one of the useless classes like model or old fart. Just something for fun if you want a tougher challenge. 2) I don't believe I updated/clarified the website on one point. When I first started working on the challenge I "thought" you could invite a pen pal over once you got to know them well enough but that wasn't the case (at least in my play tests). If so, once you get a unique postcard from a pen pal, you can find someone in town that you like and consider them the pen pal (follow the rules for leader recruitment on the website under general rules). I only got the play test this mechanic briefly as my test group didn't get a leader until almost the end of the challenge. Lucky you for getting one at the onset. They make a BIG difference in some of the events, negotiations, etc. 3) I will be expanding this challenge to include an additional 5 roles. Someone asked me to modify the challenge for the Sims 3 and when I do, I will add the additional roles for flavor. I'll post here when that happens. I'm like that with my model as well, I take her out on the scavenges too in the hope she'll get bumped off. She has the mean trait and upsets the whole household on a regular basis! I've only played four days and it's been interesting. I'm rather attached to my thief as she has stolen 3 books so far which give the Sims an enjoyable activity besides the microscope to use. I enjoy my hippie too. Having the garden is a big asset along with the chef, in fact I think it'd be a real struggle without a chef!! I was confused with the inviting pen pal once you get to know them. It's quite easy to get a post card. Does it mean than once I get a postcard I can invite in a new sim? Or do I have to get the whole collection before I can invite a new Sim? As it is in the random events I rolled the number where the young man is eating our produce and you have the choice to ask him to join. Which I did and ended up with a computer guru. Of course that does mean another mouth to feed! You are right in that having a Leader is an advantage! However I do need a mad scientist to unlock a number of the restrictions. All in all the different roles within this challenge is what makes is a lot of fun. You've done a brilliant job with this!! BTW I played your Doomsday Challenges I and II and loved them too. The Doomsday II I roughly attempted to adapt to Sims 4. Can't wait to see what the additional 5 roles will be. If you get a postcard that you don't already have you can invite a new member. For more of a challenge, you can say for every two post cards you don't have, etc. That might be more reasonable. The thing is without a leader, finding those roles you need is ROUGH when your choices are only limited to a) taking a chance on someone or b) hoping you get what you need from the random encounters. Some additional roles I have been throwing around are housewife, jock/cheerleader (teen), teacher, CEO, etc. I welcome any suggestions. The jock/cheerleader fall a bit under the category of model I think, unless you can make them evolving into something different. The teacher could be valuable, maybe they could bring something to the household, like a chess table or some other educational object, maybe even an instrument?? If there is a child then they could help with homework. You could give the teacher a +1 towards to the BDR as they have some technological insight too. You could have someone with the bodybuilder trait that brings one fitness equipment with them. 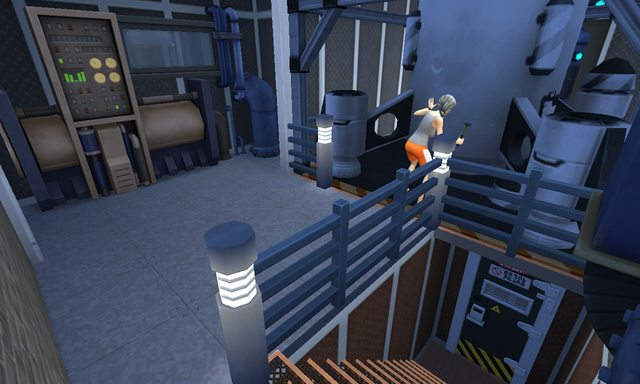 Build up the sims fitness to outrun the drones?? Or fight them. I'd imagine the higher the fitness level the better to the sims can fight with?? Maybe that can fall into the jock category? The housewife could be a good candidate for bearing a child. Plus keep the place clean and tidy. Maybe make her the only one able to bear a child (because of all those chemicals a lot of women are barren) so that makes her valuable. Just a few suggestions. Not sure if it helps. I already went in and added some roles. I REALLY like your idea about the housewife and i've added that as well. I did set the jock/cheerleader up to have a 50/50 chance of growing up into something useful (like the new pro athlete/lookout, or useless (like the new lazy bum or model). Teachers can learn skills to a point and then transition a useless role into something you actually need based on the skills they know. For example, the teacher can start with any skill item from the game. If you needed a handyman, you could give her the workbench and have her work on that skill until she is able to train another survivor to be a handyman. For those who have already started the challenge, you can just ignore the new 6 roles. They are just there to add flavor. Last edited by MistyDW : 30th Sep 2016 at 6:08 PM. Hey! I made a custom lot for this. Let me know if I got any details wrong. 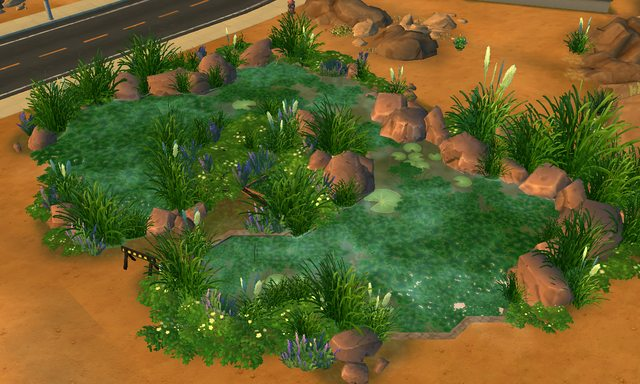 The lab is hidden under a murky pond. 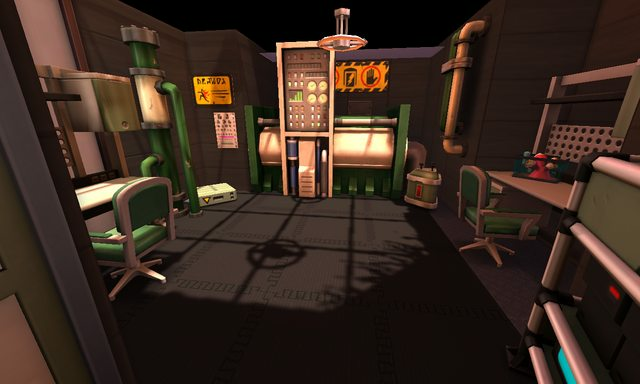 The Biologist's research facility. The whole place has a sort of grungy, industrial aesthetic. Tech room with generator - the Guru's cave. You can find the lot under #purgechallenge. It's called 'Purge - Secret Laboratory'. I am starting a new Purge challenge for myself since creating the additional roles to see how it plays out. 18-Housewife with the clumsy trait...good thing she stays at the base. 10-Computer Guru. In addition to beeing a geek he loves the outdoors (odd for a nerdy guy) and is also hot headed! I can just see where this is going lol. 17-Teacher. I actually inserted sims like myself and my husband into the challenge so I'm playing the teacher role (haha). Traits were genius (for teahcer) and family oriented and childish (randoms). Seems to fit pretty well. 1-Ex-Marine. I chose my husband for this role (ex-army guy). His traits were active with randoms being good, and squeamish. 9-Model....WHY, it's as if someone has it out for me lol. I cannot seem to get away from the model on this challenge. In addition to being materialistic, she is a slob (great) and music lover (so helpful). Well at least I have a teacher to sort her out. I have updated the website a great deal; however, and gone into depth on the new teacher role. Now that I have one in my own game, I'm excited to test it out! Last edited by MistyDW : 1st Oct 2016 at 9:37 AM. Wanted to tell you that the work you did on this is stunning. I'd like to put the info for it on the website as well (if that's OK) and I will credit you as the creator. You are much better at building than I am! The housewife could be a good candidate for bearing a child. Plus keep the place clean and tidy. Maybe make her the only one able to bear a child (because of all those chemicals a lot of women are barren) so that makes her valuable. I absolutely used this suggestion and I am going to put a credits section on the main page of the site and give you credit for it. I also liked your ideas for the teacher. She primarily brings skill items from other roles to the household but I could see her, as an added bonus, bringing something transportable from her classroom (like a guitar). Honestly, a hippie could have a guitar on him too, would make sense. 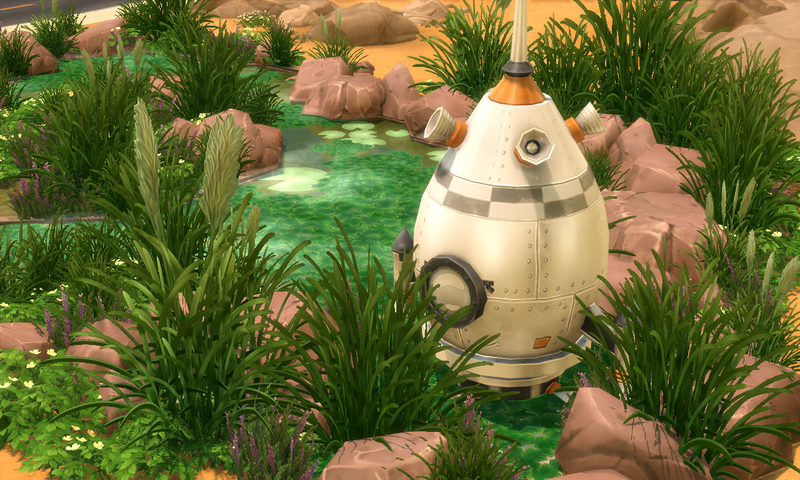 Any sim can have an extra item to add flavor to the game as long as it doesn't interfere with the challenge itself. Thanks! Sure, feel free to do that - I ought to warn you though that if someone tries to use this lot without GTW installed, they're gonna have a bad time. I updated the lot a little upon realising there was nowhere good to put the rocket. So, tada - I added in a little pit open to the sky and concealed it to blend in with the pond. It works like a charm and looks pretty cool, although you'll have to rotate the rocket when you've built it. The aliens will never see you coming. I will have to install the latest version! I am using your base for my 2nd play and enjoy it very much. I'm starting this challenge and also still very new to Sims 4. I've played several of your challenges for Sims 3 so I thought I'd give this one a shot. I rolled both Marine and Athlete, and am not seeing much difference between the two. Since there is no musician or artist on the Role list, I'm going to convert the Athlete to music, comes with instrument, has mandatory trait of Music Lover, BDR 1, SR 2, and I guess still earns the one hour "warning" of attack, since their hearing is so much better than average. Well, that's my excuse, anyway lol! Also using DLPalindrome's lot, which looks super cool! Hey, thanks for the credit Misty!!! Now I gotta hope I get a housewife! It's funny you should mention guitars because I just had my thief steal a guitar (she's level 8 now) for entertainment purposes. However, my last scavenge was VERY costly and I lost my leader! What was most frustrating is that I didn't take the blonde and I rolled a 97, meaning an alien attack of 10 and I only had a 7, so someone had to die. It was the biologists excursion to Granite falls. I had taken the leader, hippie and the household thief (she is my favourite character) with me. Even if I had taken the Blonde I still wouldn't have made 10, but at least I might have had a chance of getting rid of her instead of the leader!! To make matters worse he did have two postcards!! I should have added a new member before they left but I didn't! In fact I probably should have left him at home, and just sent the Blonde! My resident thief was good friends with him and they'd just become partners in crime, so I'm kinda upset at the moment. Not to mention it's going to be difficult to add new members now. I've just got to hope for a lucky role that'll allow me to add a new person. And I was all set to add a new household member before I rolled that dreaded 97!! Now we have added the housewife as being the only one to bear children I guess that means none of the other women in my survivor group could bear a child? Not that I probably would as this is too risky as I only have a BDR of +3. I don't how things are going to pan out now I've lost my leader but I'll keep you posted. BTW, I'm having lot's of fun with this!!! Very enjoyable challenge!!! Awesome!! Yeah I had some close calls. I'm still running with my teacher as the fill-in chef. It's killing me that each servings costs the ingredients listed (so to make fish tacos, I need 4 fish and 4 veg to make 4 servings). If I had a damn chef, it would only be 2 fish and 2 veg. Plus my gang is GETTING ON MY NERVES trying to cheat. Every time I take them out to scavenge, someone is trying to use a damn grill. At one point, I forgot to relock the kitchen door after my teacher got done cooking and the hooch went back in there and made meals for like 3 people with no food in the fridge! UGGGGH. I penalized the ones that ate by not allowing them to eat anything else for the rest of the day, but still! Worst yet, I was just out on a scavenge and the damn model took off and left (went back home)! I am going to choke slam her...thank goodness I got the random event with fish in the bucket so I could make 3 servings of fish & chips. I basically have to have everyone eat half a plate, quit, leave the table, and bring in someone else to eat half a plate, LOL. Where is my chef!! At least the garden is starting to come in. That's my only salvation. I am considering giving an alternative scavenging system where instead of looking all over the place for a random plant, you can roll on a table. Not sure about that yet. The ex-marine is there to build base defenses (You should have gotten +2) and to accompany the groups that leave camp for scav runs. The pro athlete is more of a lookout that stays at the base and gives you advance warning if you get attacked. Still, it's your challenge so change it however you like! As I said before, feel free to have a person who is a music buff for entertainment. It's a great idea. I really do think the chef, hippie and resident thief are the most valuable to the group at this point. Having both the hippie and chef does keep the food supply in a better flow, plus the gardening is coming along very nicely. Even if the hippie just harvest one out of the ten fold of fruit or vege (say it's 3 harvests a day) it's enough to get us by. I just read how your fill in chef (teacher) needs double that to the chef to cook a meal and that would be a REAL struggle!!! My hippie manages to add at least one fish to the daily cooking and as this might only give 2 dishes in way of fish tacos, but it's still better than nothing! My resident thief has supplied most of the fun stuff in way of books and just recently a guitar. She can also swipe 3 seater sofas now and has added a painting or two as decoration. I've never played the kleptomaniac trait and never knew that the higher the mischief skill allowed her to swipe a better range of stuff! I do always find than the people I take out to scavenge often came home to a house where the other sims needs are pretty good while they are gone, despite the door to the kitchen only being accessible by the the chef! I don't think you can do much about that, only have it so as much as the household needs are met by the time the scavenge groups goes out or the resident thief to visit a household to swipe an object. Despite losing my leader on the last day of the week I did okay for the first weeks. Garden is well established. Thief is at mischief level 8 Chef has cooking at level 6. The newest recruit is doing well (programming level 5) in just a few days. I've even found a useful role for the blonde; she's been fixing stuff when it breaks. Gotta put her to some use! Just make sure you are following the thieving for dummies section on the website. The challenge prevents your thief from taking large items out of a house unless they have a clear path to do so. It never made sense to me that someone could walk past a room of people with a grand piano in their pocket and no one was the wiser. As long as you can get out without entering the same room as one of he homeowners, you are solid. Yeah a thief would be a huge help. I used to steal food all the time on my previous game. If I didn't have the teacher it would be WORSE since everyone else can only make cold food which requires large amounts of fruit (fruit salad) and tomato (garden salad). Really makes things tough with the food restriction. Conceivably the max tomatoes you can harvest in a day is 2 and the max fruit if you harvest apples, banana, and grape, and strawberry is 8 and that's assuming you find the ones in the wild.